What does a good Aunt do for their nieces? 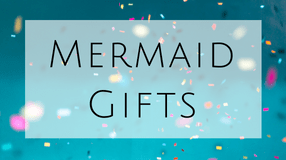 Get them a Mermaid blanket of course! Winter is coming, and the colder weather will soon be upon us. 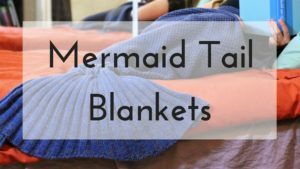 Blankie Tails are the perfect mermaid tail blankets for kids. Buying these blankets won’t guarantee your kids will read quietly and get along as this picture portrays… sorry. They will guarantee a warm and cozy night sleep, as well as turning sleep overs into a magical night with friends. The fabric is made of a double sided minky fabric rather than fleece. The standard fleece gets really hot and confining as it doesn’t stretch. Not to mention, you wash standard fleece a few time and becomes scratchy. The high quality of fabric will reduce the amount of wear and tear kids can put on… well everything. 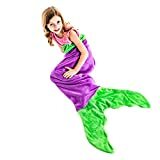 I don’t recommend crochet mermaid blanket for kids as they are more prone to rips. I also like that the ability tails allow the toes to enter the flukes making it more comfortable and moveable. Having a restrictive blanket that forces your feet to a point will get uncomfortable quick. 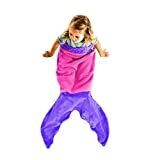 Check out the full adult Blankie Tail Review for more details. These girls like to bring their Blankie Tails on car rides or even to watch moves at home. Not to mention playing pretend. 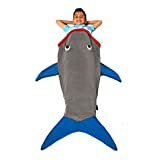 The cost of these blankets are between $20-$40. 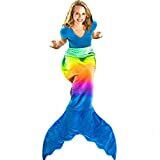 If you secretly want one for yourself they have Adult mermaid tails. Don’t you worry, they have those too! 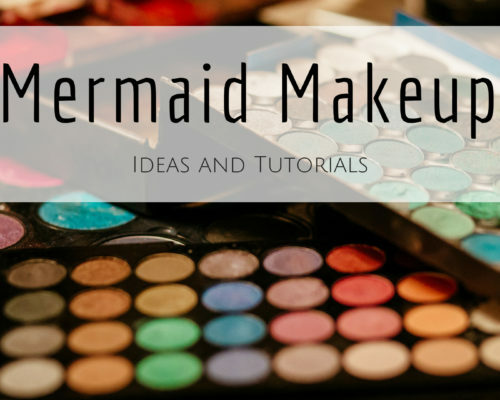 If you would like to check out more mermaid blankets like mermaid fleece blankets or mermaid crochet blankets I have a few reviews for you! 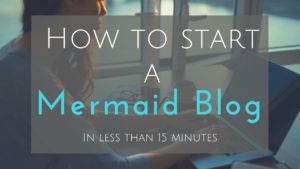 Thanks for reading and feel free to comment below and let me know what you think of Blankie Tails!